One of the best teams in recent history in Wisconsin the Knights continued to roll along with a dominant win at Grafton Friday followed up by a scintillating come from behind victory at the NY2LA Sports Classic against Sussex Hamilton. Last night the continued to build on to their season resume with a solid win over previously unbeaten Homestead. 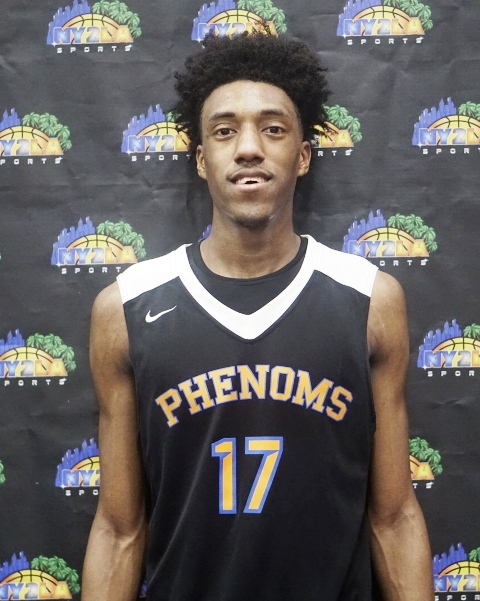 2020 G/F Jalen Johnson has posted three triple doubles in his past four games with the only other one being a 28 point 23 rebound 6 assist effort in the win over Grafton. Fellow junior Jamari Sibley is posting double doubles each game and sharing top scoring honors every game with Johnson. Sophomore guard Kobe Johnson is having his best season to date and a variety of role players are brings intangibles, effort, and solid production scoring, rebounding, and defensively. They’re getting better by the game with their only blemish being a lost on the back end of a back to back in D.C. earlier this month. The top Division 1 team in the state on paper made their season debut last week with victories over Brookfield Central and Wauwatosa West. They followed up a win against West with a back to back affair against Nicolet where the Knights had to come from behind to beat them. Last night they rolled past West Allis Hale and sit at 3-1 after playing 4 games in 8 nights due to starting later in the season. A very impressive debut and when you add to the fact that super sophomore Patrick Baldwin Jr. is recovering from an injury suffered on Friday that shows how deep and talented they are. Baldwin has been unselfish and sensational at times to start the season and fellow sophomore Tanner Resch has stepped up the past few games. Senior Tyler Ellingson is providing solid floor play and junior guards Carson Smith and JT Hoytink have turned in some solid work as well. Junior forward Lucas Finnessy has been a key part of the attack and the Chargers look primed and ready to challenge for the Division 1 state chip come seasons end. The Lancers rolled to #1 in the state at the Division 1 level on one board early last week and then headed to Sussex Hamilton where an electric performance by sophomore Patrick Baldwin Jr. pushed the Chargers past the Lancers and made them the early team to beat at the Division 1 level. No matter though as BC rebounded with a statement type win at the NY2LA Sports Classic where they defeated La Crosse Central in dominant fashion. Sophomore guard Ben Nau was sensational against La Crosse Central and fellow sophomore David Joplin has turned in back to back strong performances. Senior guard Gage Malensek has delivered some solid floor performances and fellow senior Cole Nau has done the same over the past couple of games. Central played exceptional on Saturday and if they bring that kind of effort to the court game in and game out the rest of the season they have a chance to win every game they play and they are a serious threat to capture the gold ball in Madison next March. The best that Division 3 has to offer so far and they seem to be getting better. A trio of seniors power the attack in Xzavier Jones, Ace Evans, and Trequan Carrington and all have been exceptional in various games to help Martin Luther remain unbeaten. They have as good a guard tandem as any and they already have quality wins on their resume over Milwaukee Washington, Racine St. Catherine’s, and last night over Waupun. An upcoming matchup next week against Brookfield Central at the WBBY Shootout will be an excellent challenge for them. Right now they are head and shoulders above everyone in the race for Division 3 supremacy next March. You can’t argue against reality and East is straight up ballin’ right now on a high level. Junior guard Anthony Washington is continuing to build on an electric summer and the supporting cast is delivering night in and night out. Senior Montae Thompson and junior Keonte Jones are the biggest role players but night in and night out they have someone different stepping up to help the team. Sophomore Jevan Boyton is a big part of their success as well. They’re sitting at a legit 10-0 on the season and they’re trending upward. The Purgolders on paper headed into the season as one of the best teams in the state and they haven’t yet found their rhythm as a team. Sophomore Michael Foster has delivered some quality performances so far and senior Deontay Long has been a complementary piece as well on some occasions. They have a number of supporting players that have showed flashes of breaking out. They’re a legitimate threat for the Division 2 state title next March once they find their flow and identity as a team. Still early, look for Washington to potentially gel come late January and February and with Foster on the court they have a chance to win every game they play. 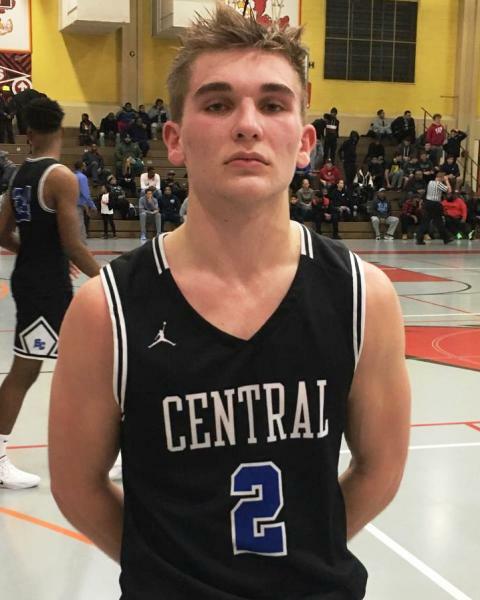 Central walked into the NY2LA Sports Classic undefeated with some dominant wins and after Brookfield Central shot the lights out against them they left with a few questions to be answered. Junior guard Jonathan Davis is a quality Division 1 prospect and interior junior Terrance Thompson has shown flashes of dominance as well. 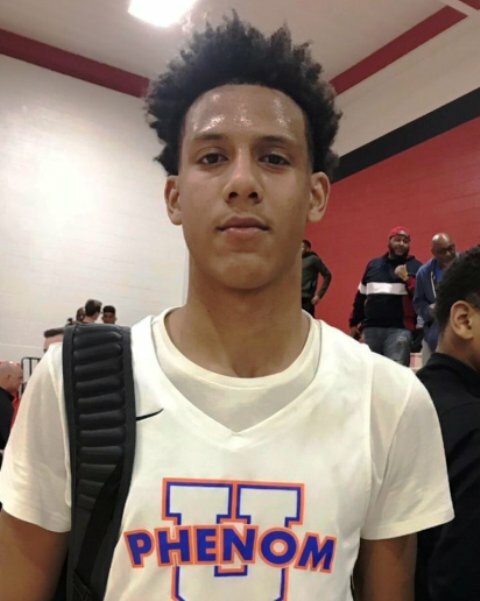 Another team that figures to be in the thick of it come season’s end at the Division 2 level, the play of Noah Parcher and Jordan Davis will be key for them to reach their peak this season. A well-coached team with arguably the best senior in the state in Northern Kentucky bound Marcus Domask, Waupun will challenge for the Division 3 state championship once again and Domask is a big reason why. He can do it all and he checks the box scores each night. When a big basket is needed he’s the guy they generally look to but senior guard Quintin Winterfeldt has been a solid compliment in the backcourt. A loss on the road last night to Martin Luther may have been a precursor to matchup to come next March but make no mistake Waupun is a very good team and they have as good a chance as end to hoist the gold ball in March. They’re 6-0 and no one is talking about them which is always a dangerous recipe for opposing teams. Let the chip on their shoulder continue to build with each victory and that presents problems for the opposition come season’s end. They have quality wins on their resume over Appleton West and Kaukauna as well as solid road wins over Oshkosh North and Neenah. Sophomore guard Jake Buchanan is putting in major work at over 20 points a game but senior Levi Nienhaus-Borchert is scoring over 17 points a game and grabbing over 15 rebounds a contest to start the season. Mix in 10 points a contest from senior Reed Miller and it’s safe to say that Kimberly is a legitimate threat to challenge for state supremacy in March. They’re a very dangerous team to play for any of the early favorites come season’s end. An unblemished start came to an end last night on the road at Nicolet and that’s nothing to be ashamed about as the Highlanders were in the game until the Knights pulled away in the second half. 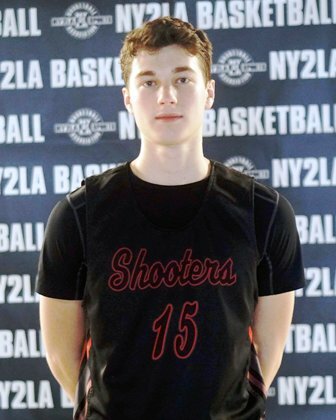 Senior guard Ryan Waddell has been exceptional and should have Division 2 schools sitting courtside every game. Junior Declan Ciurlik has been equally excellent to start the season. They’re well coached by head man Sean Crider and players like Jacob Kleiman and Michael Kennedy have been exceptional compliments to Waddell and Ciurlik’s exploits this season. They’re a very good team and one no one will want to play come season’s end. They’re on fire and only getting better. At this stage of the season their head and shoulders above the other teams in the Madison area and the play of Washington is much watch theater on the hardwood. Another matchup with Madison Memorial and two with Madison La Follette are the big ones left on their schedule. The senior guard has been huge all season for undefeated Martin Luther. Averaging close over 17 points a contest while kicking out over 4 dimes a game and grabbing 4 rebounds, Evans is filling the box score and working together with Carrington and Jones to form a lethal trio on the hardwood. 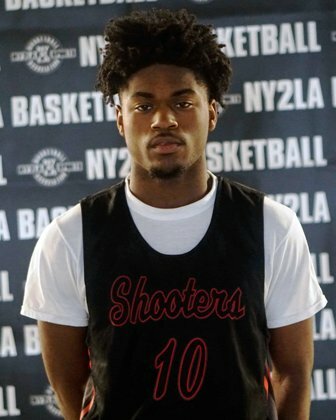 A multi-dimensional talent on the hardwood, Evans is at worst a high Division 2 prospect and whether it’s a low major Division 1 program or a high caliber Division 2 school the talented guard is prospect to watch closely as the season progresses. Part of a high major duo along with junior standout Jalen Johnson, Sibley has been exceptional early on for the Knights. Whether he’s scoring, rebounding, or defending the long lanky and athletic forward has brought versatility and dominance to the court throughout the season. Last week Sibley added offers from Syracuse and Virginia Tech to a recruiting trail that also boasts Georgetown, Florida, LSU, Marquette, Texas A&M, etc. amongst others. He’s trending into top 50 national status and justifiably so. A gritty blue collar up and coming guard, Nau had a lights out performance on Saturday at the NY2LA Sports Classic. He ripped the nets and went 6 for 6 from beyond the arc to start the game before finishing 7 of 9 from long range on his way to 23 points in the win. He makes plays, he enjoys the big stage, and he’s willing to do whatever it takes offensively or defensively to win games. He picked up another offer from UW-Milwaukee after a strong effort against Sussex Hamilton last week. A talented up and coming sophomore who continues to open eyes with his stellar play. A multi-skilled old school scoring guard with an ability to finish creatively around the basket. Brazziel has already delivered some solid efforts early on and he’s really just starting to figure things out. He can score at every level but he excels around the basket with his creativity by making difficult finishes look easy. At this stage his biggest asset is his ability to finish inside 15 feet off the bounce and in transition but big picture wise he’s got a lot of room to grow and improve so he’s far from a finished product at this stage. One to watch closely moving forward. Much like Ryan Waddell at Homestead, Gouin is a strong Division 2 prospect who’s in the midst of playing his best basketball to date. While junior forward Carter Gilmore is commanding most of the attention and checking every category in the box score right now, Gouin is proving to be a strong compliment to Gilmore and a big reason for Arrowhead’s surge over the past couple of weeks. He’s dropped a couple of 30 plus point efforts and he’s shown an ability to make plays and make big shots with consistency. Schools at the Division 2 level would be best served to take in some of the Arrowhead games as Gouin is one who deserves a strong look from that level.